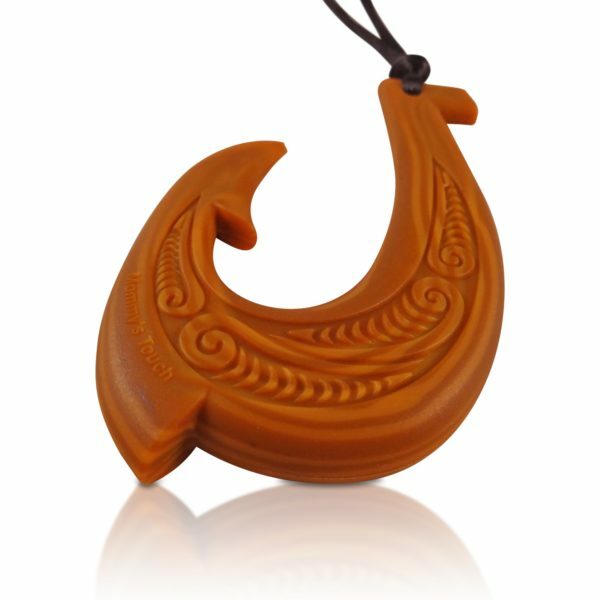 ONE-OF-A-KIND – Genuine and original Mommy’s Touch silicone Makau necklace made with the highest quality 100% food grade silicone! You won’t find this anywhere else! Certified to exceed FDA testing requirements provided by 3rd party. GENTLE – Mommy’s Touch chewable jewelry is much safer for kids gums than the ancient materials used such as bones, wood and coral while teething and chewing. Lead Free. No PVC, Phthalates, or other unsafe chemicals used on any Mommy’s Touch teething jewelry. 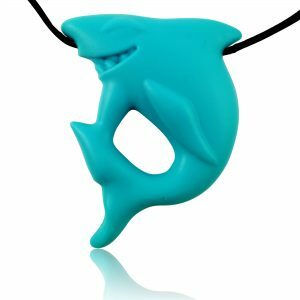 – ONE-OF-A-KIND – Genuine and original Mommy’s Touch silicone Makau necklace made with the highest quality 100% food grade silicone! You won’t find this anywhere else! Certified to exceed FDA testing requirements provided by 3rd party. – GENTLE – Mommy’s Touch chewable jewelry is much safer for kids gums than the ancient materials used such as bones, wood and coral while teething and chewing. Lead Free. No PVC, Phthalates, or other unsafe chemicals used on any Mommy’s Touch teething jewelry. 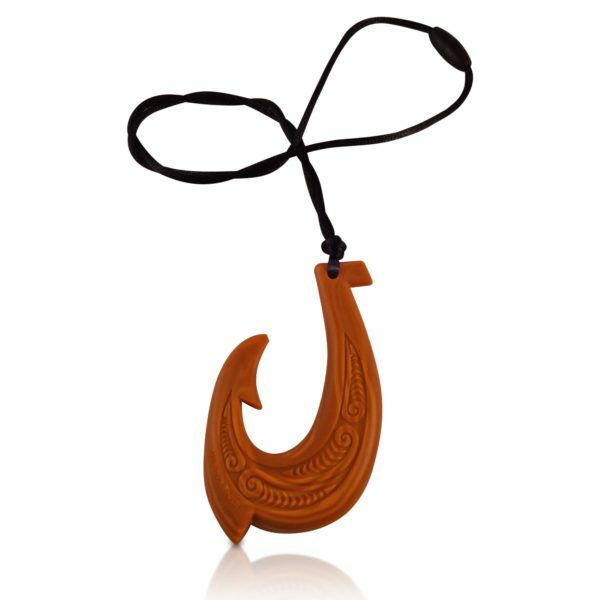 – LEGENDARY – Known in Hawaiian as the makau, the fish hook pendant stands for everything that is good and promises its wearer prosperity, strength and good luck. – DURABLE and created with the popular and meaningful fishhook that can also be used for children with sensory seeking needs such as oral fixations, thumb sucking, ADHD or trouble focusing to meet a medium chewers needs. Breakaway clasp as an additional safety measure. – GET HOOKED – Mommy’s Touch products are all the craze! Our chewelry is made with cute and trendy designs that can be worn by both boys and girls and with multiple outfits. 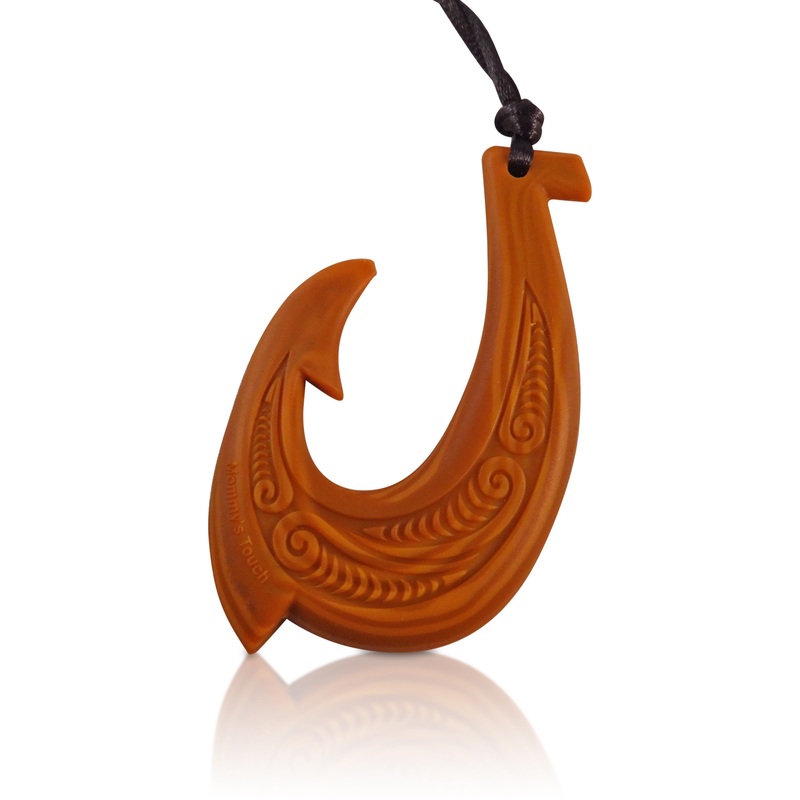 Multifunctional necklace and teething toy to keep your baby occupied and comfortable while in the house or out. 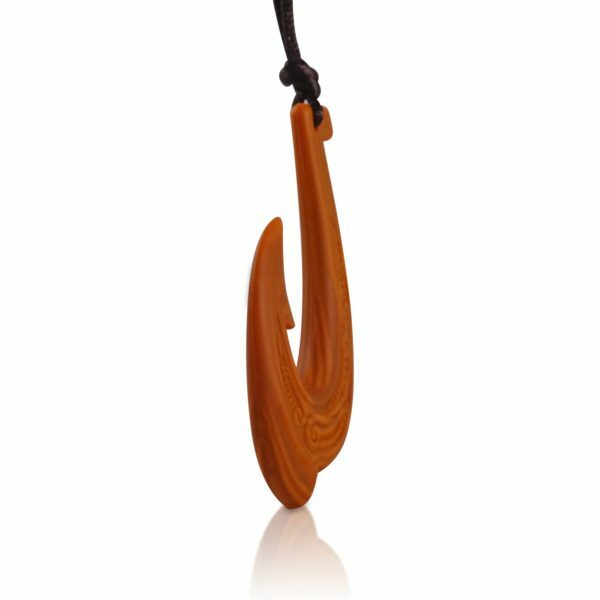 Manaiakalani, the magical fish hook of Maui Stories of creation narrate that Maui, the Hawaiian demigod, created the Hawaiian chain of islands by dragging his fish hook on the ocean floor. He convinced his unsuspecting brothers in the canoe to paddle furiously by fooling them that he had caught a great fish. With their efforts, Maui’s high mighty fish hook, called Manaiakalani, dragged the land mass out of the ocean and the Hawaiian Islands were born. The Makau is a fishhook pendant, which was used in ancient times to find food. 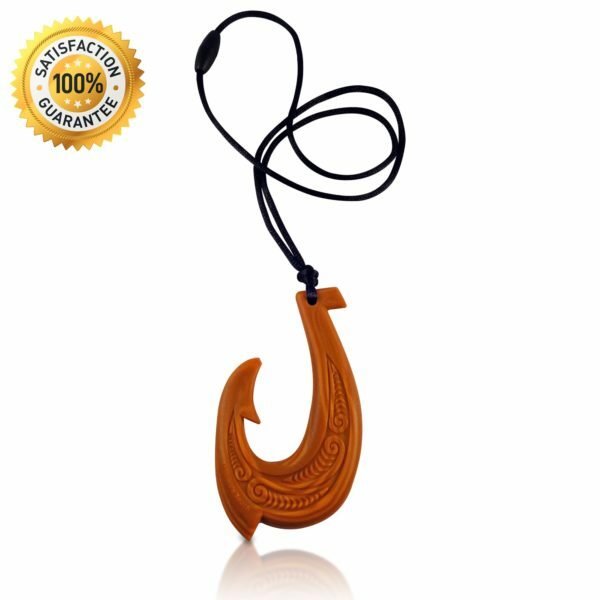 During the early eras, locals would create fishhooks out of various materials – bones, wood, coral and stone but now Mommy’s Touch offers these to teething children by using 100% food grade silicone! These stylish, chewable jewelry pieces are a terrific addition to your baby’s wardrobe, both boys and girls. Our teething necklaces are optimally designed so your baby can easily hold and teeth on them. They are a colorful and fashionable addition to your child’s wardrobe so you will always have a teething toy with you. Perfect for teething boys or girls since they are specifically designed to be gender neutral with very fun designs that will not only look good but also serve a purpose. These teethers are very durable and created with fun designs that can also be used for children with sensory seeking needs such as oral fixations, thumb sucking, ADHD or trouble focusing. 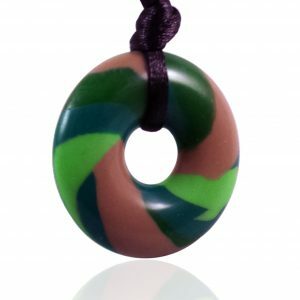 We do not recommend these necklaces for heavy chewers since children with teeth and heavy chewing will be able to bite through the pendant. A must have when the little one gets fussy in restaurants, parks, malls, etc. Throw them in the refrigerator to provide extra relief during difficult teething periods. All necklaces have breakaway clasp for additional safety and are BPA and lead free.